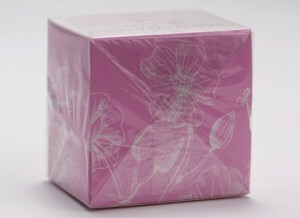 Overwrapping enhances the perfect look of your product. Beauty and perfection. That is your key to success. Your boxes embody this. Wrapping makes them look even better – seductive and classy – while protecting the elixirs inside from tampering and sticky fingers in the distribution chain. We’ve learned much about your needs over the past few years and have taken your words to heart. 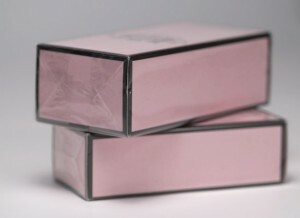 Cosmetics boxes must be tightly wrapped in a high gauge, high grade film. Scratching of the box during wrapping is a no-no. Machines must have kid gloves. Seal location must be precise, functional and not detract from the underlying graphics. Sometimes you like the long seam on the side of the box so that you can face the box any which way on the shelf. Other times you prefer it on the back so that the words on the sides are clear. End folds must be geometrically exact and end seals must be designer, almost a work of art in themselves. Speed ranges typically run from 30 to 80, depending on your upstream fillers. We can do more if you need it. You have several different box sizes and need to change often. Quality control is stringent for weight, mixture, and packaging. Beauty and perfection come at a price. 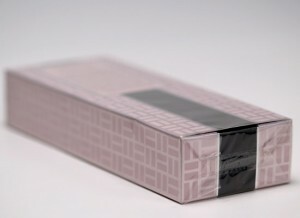 A cosmetics and perfume company was looking to use one wrapping machine and vary its product appearance…. We see from your vantage. Your wrapping solution awaits.